The synopsis that you just read makes it seem like this showdown with Dr. Solomon is going to be the focal point of the book and it really isn’t. This book spent just as much or more time on Rachel being a lesbian and what that meant at the time. Aside from a fairly contrived scene with her getting a little naked and making out with a stranger early on, I liked the way this part of the story was addressed. I was heartbroken for Rachel who continually thought herself unnatural because that’s how society saw her. I liked the stories, both past and present, but the Dr. Solomon dilemma was just a small part of a very full story. Rachel was a character who was hard to feel a close connection with, but she did elicit a lot of sympathy. Watching your mother murdered is not something that most of us can imagine, nor can we really appreciate what it meant to be sent to a Jewish orphanage, housing a thousand kids. Barium force-fed so that Dr. Solomon could do experiments, children up to 5 kept in their cribs all day long, babies kept in isolation for no reason, this story was full of horrifying scenes. Rachel’s baldness caused by the radiation from all of the x-rays she was subjected to, just made her life that much more difficult and lonely. The book was based on true events. The story of Rachel running away from the orphanage at 15 was compelling and hard to put down, but for me, the fact that this story was based on the author’s own family history made the story so much better. I liked the story (well, it could have used another page or two at the end) but the author’s notes at the end explaining how this book came to life added a richness to the story after it was told. I won’t be forgetting it anytime soon. I read this one for a new book group and everyone liked it. It led to some great discussion. I would recommend it and if you interested in the real story behind the fiction you can can visit the author’s site here. It was! I had no idea that they did experiments on children in orphanages. So sad. I think I’d enjoy this. I don’t remember ever seeing it before. 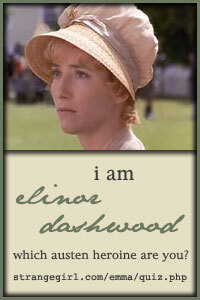 I don’t like a lot of historical fiction but this one appeals to me. I think you might like this one Kathy! 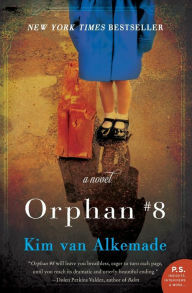 Is this a sequel to Orphan Train (sorry don’t even know if author’s are the same) duh I do want to read both. Glad it made for a good discussion.